The American Institute of Architects, National Association of HomeBuilders, Master Builders Association, MAME Award, and Better Homes and Gardens Magazine has presented us with the following awards over the last several years. Given only once every ten years, all new projects in the State of Washington were eligible, which included residential, multi-family, commercial, industrial, schools, churches, etc. Only seventy projects were nominated. Four were chosen in the multi-family category. We were awarded the Sensible Growth with Planning and Design Excellence. Best Multi-Family Design and Land Use. 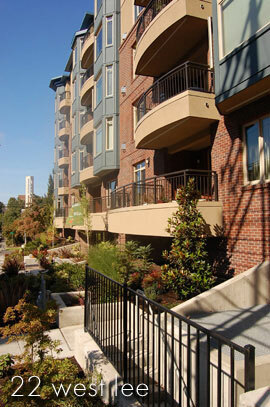 We constructed the first condominium project in Washington State.